Don’t know much about this pic, just one I ‘discovered on Facebook. (If you haven’t popped over to the Facebook page yet, it’s here…). 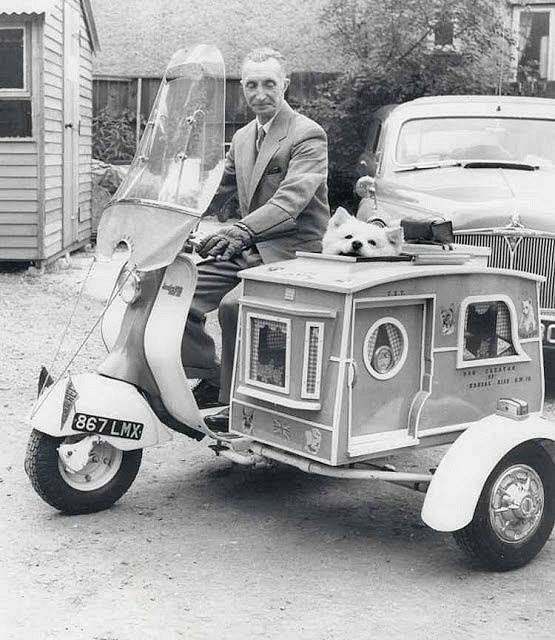 Both owner and dog look happy… and why wouldn’t they! The gingham curtains are a nice touch!